So who am I and why did I start this whole thing? Wow, that’s a loaded question – I am not your average cowgirl, really. 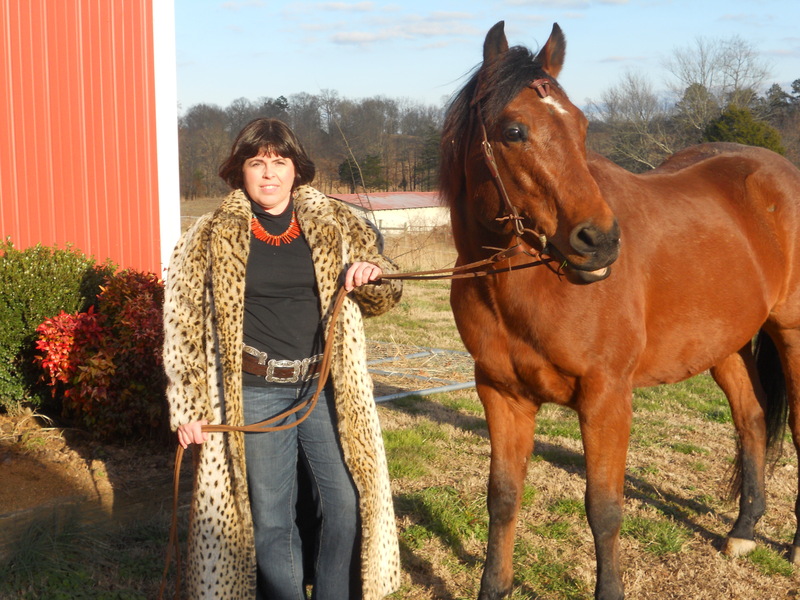 My Amazon Author page says I’m a southern girl with a western heart that lives in East Tennessee with the love of my life and that I work in the healthcare industry, judge horse shows, and compete in anything from halter and hunter to cattle sortings and barrel racing. While I am all of those things, plus a blogger, that’s just hitting the tip of the iceberg. I’m not your average cowgirl. 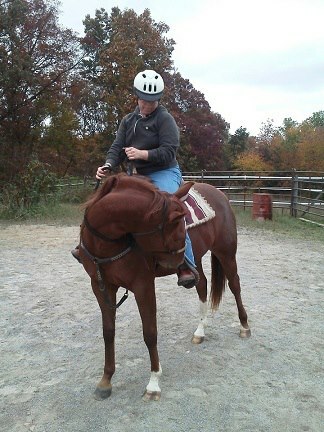 I’m a bit of a horse nerd that never outgrew the fascination even though I’m now fifty. I always have been, am at the moment, and will always be enchanted, obsessed and mesmerized by horses. Every single day they manage to somehow make my heart skip a beat. It’s a love affair that I’ll have until I draw my very last breath, no doubt about it. I’m also a girl that’s always struggled with my weight. I went on my first diet when I was in elementary school. I wore husky sizes and was thicker than most of my friends. My dad owned a construction company and if I wasn’t hauling wood in for heat every day, I was pushing a wheel barrow around picking up anything from roofing shingles to brick. Every summer I spent at least two full days a month trimming a five acre yard with a push mower. Even though I was a bigger than a lot of kids, I was active and strong, but looking back I didn’t see it. All I saw was a size. Of course, I progressed into adulthood and carried that same insecurity through failed relationships. I never thought I was pretty enough, small enough, or good enough because I didn’t fit into the mold of that perfect size to ride horses or be what most considered pretty. It’s a miserable existence to live your whole life and never think you’re good enough. If you compete, that kind of thinking has a huge impact on how well you do. 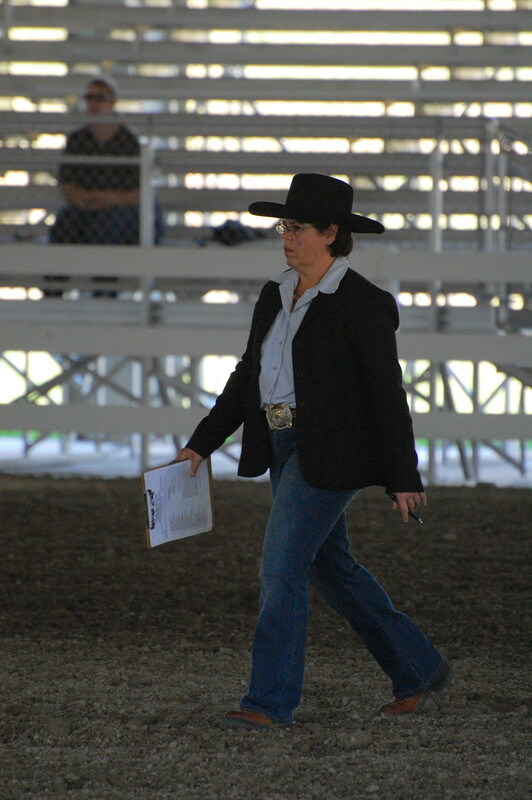 We all know that in order to do well in the show ring we have to be confident. It’s hard to be confident when you don’t think you measure up. So here I am going through the same struggles that many of you do. In the end, I’m just a real sized cowgirl that loves to break horses and ride. If you love to read, check out my book blog, Talking In The Barn. You rock. Thank you for the great site. Thank you!! I’m glad you enjoy the site- my hope is that it empowers women and gives them confidence! You have some great and emotionally empowering writing on your blog. Thank you for this. As someone who has recovered from an eating disorder, reading your story is a great reminder why I stay on track – to stay strong, healthy, and fit in a good way so I can do what I do and love most, no matter my size. I have never felt stronger and more confident in how I look, and it is refreshing to read your blog. Equitherapy20 thanks for visiting the blog and for your kind words! My hope for this blog is that women everywhere are encouraged. Thanks for visiting the site Shana, and thanks so much for sharing. It’s encouraging to hear from another woman that can relate to the same struggle.You are absolutely right – it’s a struggle your whole life! I encourage you to get some horse time 😁 because it definitely helps!